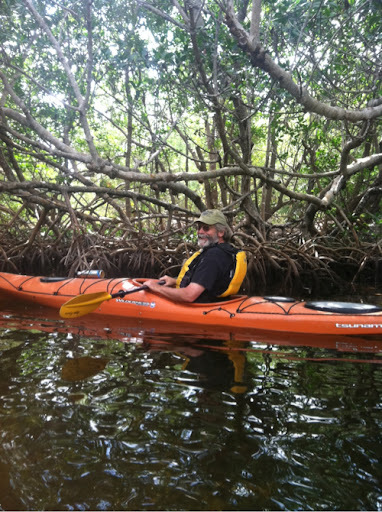 Another brilliant day of kayaking with Kayak Amelia in the Florida Keys. Today we paddled through mangrove trees in Curry Hammock State Park. That’s me in my little plastic boat in the photo. We paddled through creeks so narrow that the mangroves covered the creek creating a tunnel for us. We also did some open water paddling, bird watching and had a picnic lunch on the beach. It was hot out on the water and I suspect there will be some sunburns showing tomorrow. Tonight we will be making our own pasta with guidance from Chef Jessica and tomorrow we have a snorkeling trip planned. Shannon and I are both having a great time, wish you were here!